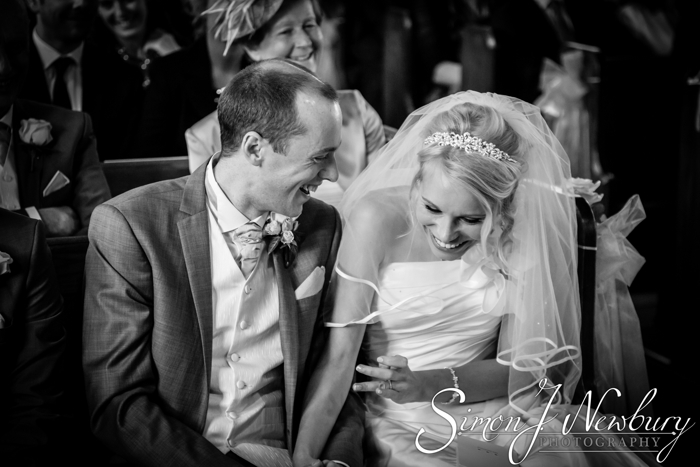 We had the very great pleasure of photographing the wedding of Jo & Hugh. The day started with bridal preparations in Winsford at Jo’s parents home before heading along to the Weaver Church for the ceremony. The little church was full to capacity to witness a wonderful ceremony conducted in part by Hugh’s uncle an Irish Catholic Priest. The service also had some extra personal touches with Jo’s relative playing the church organ as well as some wonderful singing from Jo’s friends! After the service we all headed over to Wrenbury Hall where we did the couple photos, the group shots and our first indoors confetti throwing! 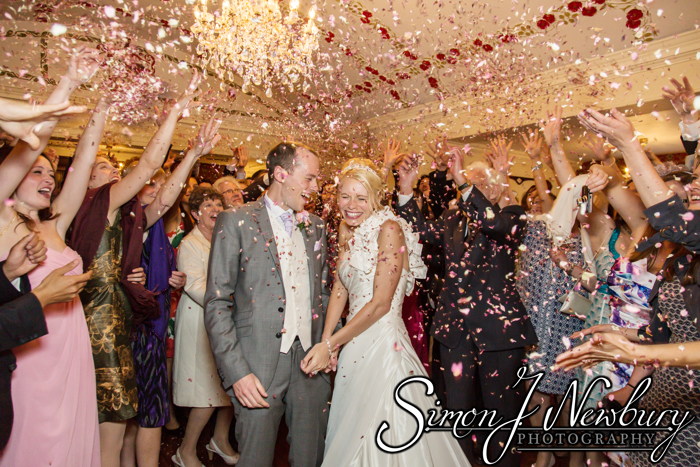 The weather was not fully on our side so Wrenbury Hall very kindly said we could throw the confetti inside rather than everyone getting drenched outside! It certainly made for a great shot after the bride had gone to such a great effort to arrange for baskets of flower petals for the confetti! 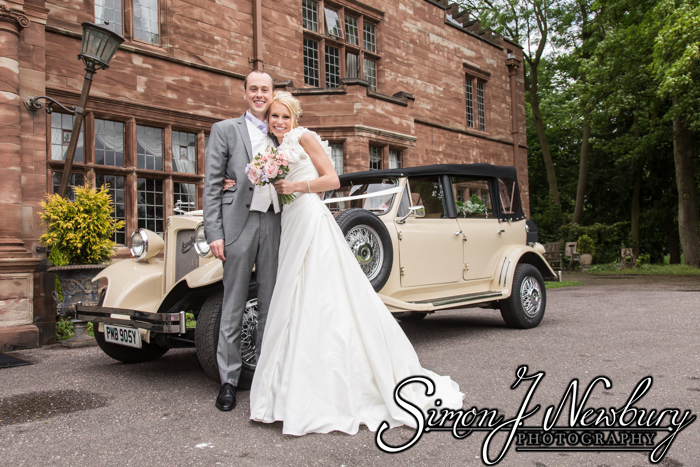 The beautiful indoors at Wrenbury Hall allow for a great backdrop should the weather not allow for too much outdoors photography. The beautiful staircase and beautiful rooms mean we were able to get lots of photos regardless! Thankfully we did get some time outside so we were able to get the full group shot and many of the smaller groups to go alongside the remainder that we did indoors. 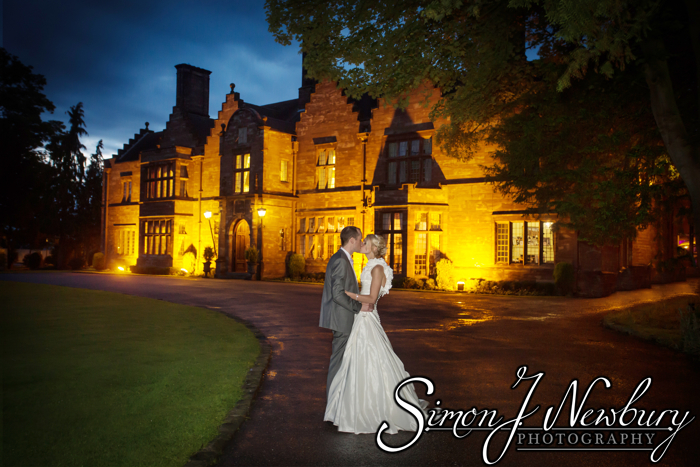 We also stayed later into the evening as we wanted to get a lovely photo of the bride and groom in front of the illuminated Wrenbury Hall. Jo & Hugh chose this photo as their stretch framed canvas so it was certainly worth waiting for! It also meant a quick break from the ceilidh! The wedding of Jo & Hugh was certainly a special day from beginning to end. A very special and personal service followed by a wonderful reception in the wonderful grounds of Wrenbury Hall. We would also like to say a special thank you to the team at Wrenbury Hall who really helped to make it a special day for Jo & Hugh! We are very happy with the album and canvas – the album layout is great! Thanks again – the photos are great and we appreciated your enthusiasm and professionalism on the day (and in the lead-up). 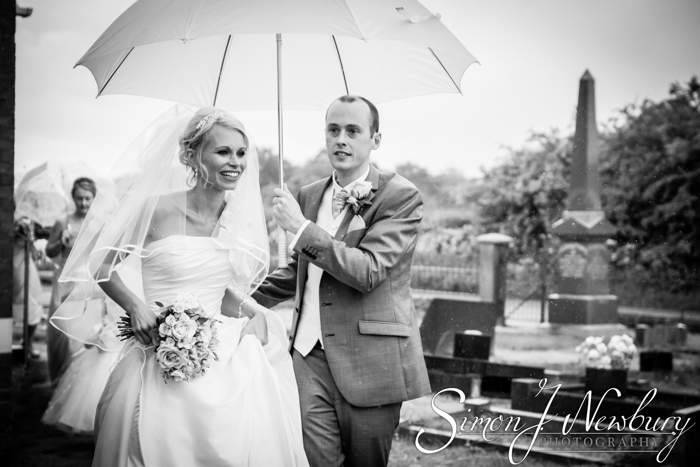 Please visit our dedicated wedding photography website!